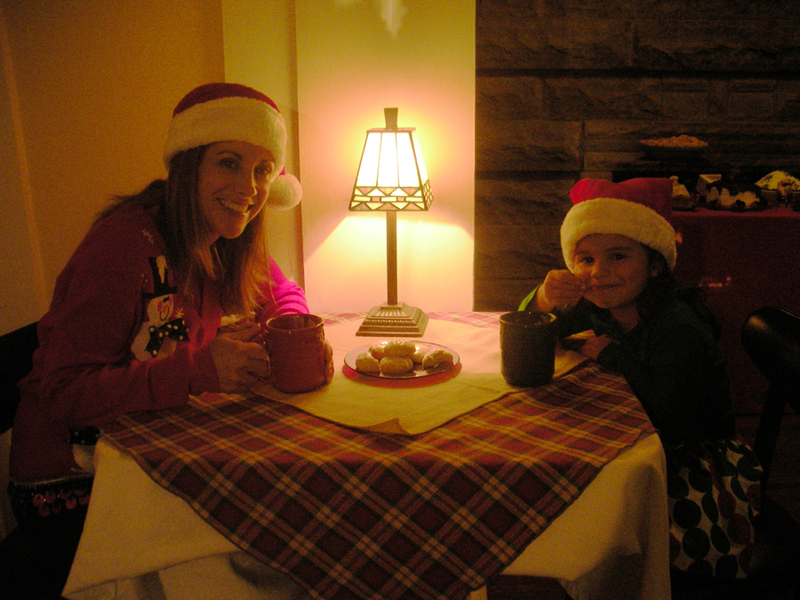 During the hustle and bustle that is the HollyDays season in Hendricks County, you can still have fun moments with your family in a relaxing setting. For me and so many others that comes in the kitchen as I get my family involved in making and baking holiday cookies. I recently took my daughter, Noel, to the Bread Basket Bakery & Café for our second HollyDays video shoot to partake in that wonderful holiday pastime. If you haven’t heard, the Bread Basket Bakery & Café just recently moved into a new location on Tennessee Street in Danville. They really outdid themselves turning an old home into a cozy little café. One thing I&apos;ve learned since becoming the face of HollyDays is just how much there is for locals and visitors to see and do right here in Hendricks County, like the Bread Basket. What an amazing afternoon we had there! I just can’t say enough about the owners, Judy and JinAyla Sexton. They were so sweet and welcoming. 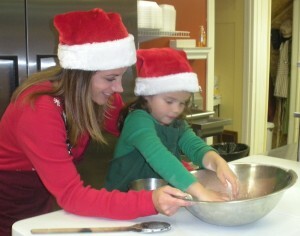 They allowed us to come into their kitchen and showed us how to make a new cookie recipe that will be part of the HollyDays Cookie Trail. We had so much fun, and Judy and JinAyla didn’t even mind us making a mess in their new kitchen. Noel truly thought she was a movie star. She just loved stirring, getting her hands coated with flour and rolling the cookie dough. It reminded me of a similar moment baking cookies with my entire family in my own kitchen a couple years ago. We decided to make homemade sugar cookies, and everyone had a job. My husband, Kris, was in charge of the icing, and he ended up making gobs. One of the boys was in charge of stirring; the other was in charge of ingredients; and at that time, Noel just liked cracking eggs. Each of us eventually chose a cookie cutter shape, and then after baking the cookies, we began icing them. 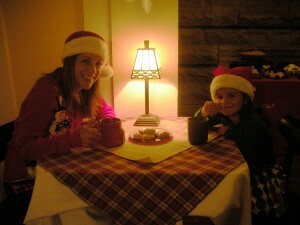 Of course, I eventually was stuck finishing that process, but it provided a holiday memory for our entire family. It is hard for me to put into words what moments like that mean to me. It really is what the holidays should be about. So, make sure you check out our new video on our HollyDays website to see just how much fun Noel and I had. Also, don&apos;t forget to experience our Cookie Trail. With a baker&apos;s dozen of local attractions and tasty cookie recipes from well-known locals, you can make some family holiday memories of your own.